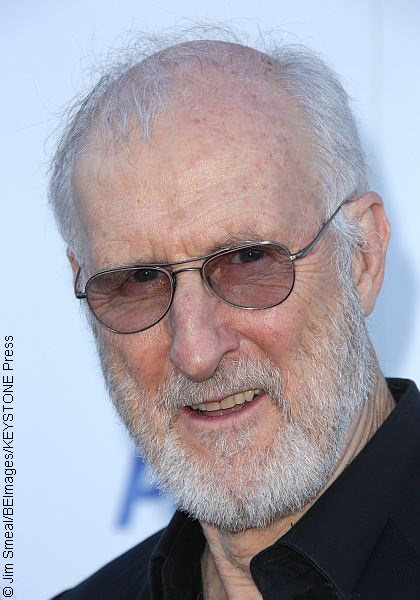 Actor James Cromwell, best known for his Oscar-nominated role in the 1995 family classic, Babe, as well as his Emmy-winning role in American Horror Story: Asylum, has been sentenced to serve a jail sentence in New York. Cromwell, who will be appearing in 2018’s sequel to Jurassic World, Jurassic World: Fallen Kingdom, was protesting at the construction site of a 650-megawatt natural gas-fired power plant in December 2015, which included him and fellow protesters blocking traffic. A judge sentenced the 77-year-old actor along with two others to a week stint in the Orange County jail after they were arrested and charged with civil disobedience. According to protesters, the power plant in Wawayanda — a town 96 kilometers northwest of New York City — poses a threat to the environment, and a spokesperson for the group Protect Orange County says Cromwell and the others will rally at the site of the plant before reporting to jail. This isn’t the first time the actor has made headlines for participating in protests. You might remember Cromwell locked himself in a crate at the Los Angeles International Airport in 2014 to protest Air France being the last major airline that ships monkeys to research sites to undergo cruel testing practices. The actor has been a longtime vegan and animal rights supporter since starring in Babe. I applaud him for actually going out and taking action in protest, along with others, to support what he believes in. I admire those willing to do this. Thank you to all those people who are taking action for a better world. I am appalled that this man should be jailed. Thank goodness I reside in Canada. How lucky am I . . . I Like hearing people who use their fame to shed light to a subject they feel strongly about. The only way to make a change in the world is by standing up to what you believe in. Can’t let the corporations just do as they please without seeing that it does affect people. Showing courage of his convictions and not just paying lip service. Can’t fault that. More power to him. We have to stand up for what we believe in. I wish more people would do the right think. I am glad I live in Canada. Good for you James Cromwell!! Once again on the side of the Angels. I don’t believe you will lose any of your fans over your “civil disobedience”. WTF? I thought that was the legal and non-violent way to protest. Thanks for making me aware that there is going to be a sequel to Jurasic World. So proud of him. I am appalled that protesting has now become something that people are jailed for. What happened to democracy and the right to stand up for the little guy? shameful. I think that it takes enormous human conviction to raise awareness re: an environmental abuse (such as a power plant) whose strategic placement on the outskirts of NJ state is simply far too convenient a thing for it to not clearly pose a very real threat to destroy the natural environment in and around Wawayanda. For a star of such high-profile to bother in the first place means there is more going on than the general public is privy to. Taking a stand and doing what is clearly morally right (esp. when re: a law set-up to shield & protect immoral corporations) may be applauded. I think the good people of Wawayanda who care for all nature and the environment are obligated in good due conscience to rally around Project Orange and they should sign a petition w/their names to take the court to court & ask for the charges against Mr. Cromwell (and the other protestors) to be dropped forthwith. To me it seems anti-Constitutional. How shameful is it to put a 77 year old man in jail for trying to make a change for the good of others. Making a mockery of your jurisdiction system. I think you’re jerks for making it sound like he was convicted of a major criminal offence. stay strong and firm in your beliefs! more people should have the courage to stand up for what is right. Nevershould anyone who believes in something so strongly, such as the Environment, be jailed. At the age of 77 it very well could have been not good for his health. I commend him for trying to make a change. Happy I live in Canada too. He was an important person playing in Six Feet Under by the way. He is standing up for the environment and though I don’t know what he was specifically charged with like blocking equipment or some such, he is a dignified elderly man and was as I see it, demonstrating free speech rights. The courts see it differently. A week in jail will give him an insider’s understanding of that institution and will add more energy to his activism. I am not an American and so can only say, I stand for good environmental stewardship but don’t know the laws down there. With the political situation in the US that makes the environment an annoyance to profit, this actor is showing what matters most to him. I have just entered my 80’s. As the saying goes, wisdom is wasted on seniors. rubber stamp in North America. The ‘people’ are almost irrelevant. Love him and everything he stands for. I made a promise to stop eating pork after watching his performance in Babe and have never gone back on that promise. So happy to hear that he actually lives his life like the character in that wonderful little movie. I totally respect James Cromwell and his great body of work, but just to clarify in response to the comment by “R”, the civil disobedience charge was brought about because they blocked traffic, which they don’t have a right to do. The protest itself was likely perfectly legal. This is the reality in the USA. Corporate interests and greenbacks outweigh the pursuit of life,Liberty and pursuit of happiness. They sell out their beliefs for a few bucks. Too unjustifying for the actor. This is just another blantant use of law. He should have got no jail time we should be proud of him and the steps he takes. Did he break the law? Yes. Hey! Where did all those comments go?! Deleted! But why? Nothing all that controversial was written. What is the deal with this site’s webmaster? Completely arbitrary censorship. This is happening quite a bit both here and in the reviews. I think that someone has power issues. Possibly severe personality disorders. This comment will also be deleted before very long. This man is a hero for both human and animal rights!! He should be given a medal!! Being charged and jailed for trying to protect the public ( which was his intention and long term plan for his actions ) – is unjust!! His REAL crime was appearing in a movie with Adam Sandler. Such a hideous sentence being handed out to a respected senior citizen for something completely justified in the eyes of most citizens is both laughable in the eyes of society, but an inhumane and unjustified action on the part of the New York police. This sentence should be appealed and Mr. Cromwell whom I personally respect, be released immediately with an apology from the Mayor of the the city in hand. Hi Hot Stuff, we haven’t deleted any comments. There was a technical glitch that our fantastic team has ironed out and all comments that weren’t visible are now showing up. Thanks for bringing our attention to this! The sentence. No one is above the law!!! This “jail sentence” is a badge of honour. How magnificent to stand up against something so wrong. What a remarkable person he is!!! !